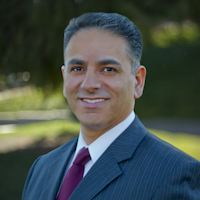 Jay has 20 years of experience in the mortgage and real estate industry, specializing in mortgage financing. He graduated from San Francisco State University with a Bachelor of Science Degree with an emphasis in Marketing. Since then he has been licensed as both a real estate sales agent and, starting in 1997, as a mortgage broker. Jay prides himself on his dedication to client service and his attention to detail. He is knowledgeable about all aspects of home and commercial financing. You can count on his efficiency and expertise. Jay grew up in San Francisco and graduated from Archbishop Riordan High School. He moved to the Peninsula in 1986. He is married with two adult sons, and enjoys hiking, being out in nature, and staying fit.